Located on the Mississippi River in Tennessee, Memphis is a popular destination for music and food enthusiasts. 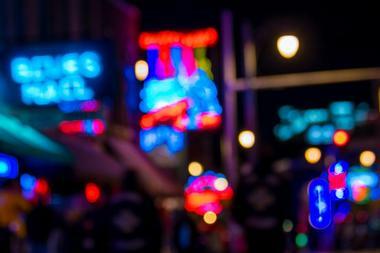 Stroll along Beale Street where you will find a diverse selection of music clubs and restaurants. Visit historic attractions (many completely free). 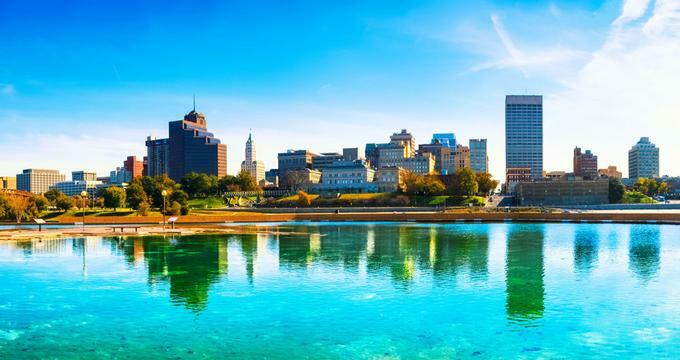 Best things to do in Memphis, TN with kids include the Children’s Museum of Memphis, the Memphis Zoo, the Memphis Botanic Garden and Shelby Farms Park. Beale Street is a historic street that runs for about two miles from East Street to the Mississippi River and one of the top Memphis attractions. Covering an area of 27 acres, the street is a major tourist attraction because of its many restaurants and blues clubs as well as its outdoor concerts and festivals. Built in 1841, Beale Street became a venue for traveling musicians in the 1860s. 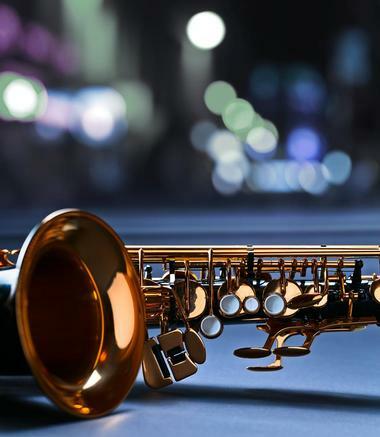 Between the 1920s and 1940s, many legendary blues and jazz musicians performed on Beale Street. During the 1960s, the area went into decline but was redeveloped during the 1970s and 1980s to again become a popular attraction. Known as the Birthplace of Rock N' Roll, Sun Studio is a recording studio opened in 1950 by Sam Phillips. Then, in 1954, Elvis Presley took a mic and made Sun the most famous studio in the world. 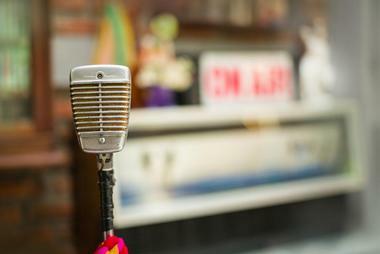 Sun Studio is one of the best things to do in Memphis, Tennessee. The building of the studio, now a museum, is wonderfully preserved, and you can take a tour through the rooms where rock 'n' roll was born, listen to a few of the recording sessions, touch the first microphone Elvis ever used, and get a feel for the vibe of the studio that single-handedly launched the careers of Elvis Presley, Johnny Cash, B.B. King, Carl Perkins, Jerry Lee Lewis, Roy Orbison, and so many others. Check out some fun old posters and other memorabilia at the studio’s gift shop. Graceland is a charming mansion constructed in the colonial revival-style in which Elvis Presley, the King of Rock and Roll, lived for 20 years and in which he died in 1977. After his death, his daughter Lisa Marie opened the house to the public, and Graceland became a pilgrimage site for thousands of Elvis’ fans every year. The guided tours offer a glimpse of Elvis’ private life – all rooms in which he lived are preserved and unchanged. One of the most interesting parts of the tour is the trophy building, with a collection of the King’s gold and platinum records and many memorabilia from Elvis’ career, movies, and charitable activities. Graceland hosts a range of events related to Elvis’ life, and it celebrates his birthday, Christmas, and other special occasions. It is difficult to put a finger on what makes some neighborhoods unique and how some, like Cooper-Young, manage to develop such a unique, quirky personality. It probably has to do with people who made this city block into their home – residents consist mostly of artists, musicians, freethinkers, and lovers of beauty. If you are wondering what to do in Memphis today, this is a great place to start exploring. Eclectic, cosmopolitan, lively, fun and artistic are just a few ways of describing this city block between Cooper and Young Streets in downtown Memphis. Most of the homes were built at the beginning of the 20th century. The neighborhood is welcoming and walkable, and it attracts not only tourists but also the rest of the town residents with its 60 galleries, antique shops, coffeehouses, vintage stores, restaurants, and bars. Take a stroll and look at the architecturally unique homes, sit at the outdoor cafés and watch an interesting mix of people, or enjoy a meal at one of the fabulous restaurants. 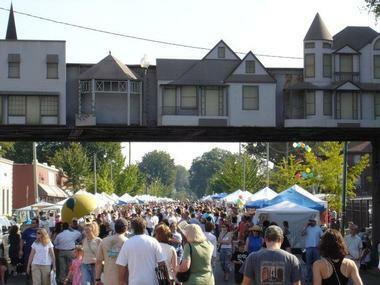 And if you come in September during the Cooper-Young one-day festival, you will really see the city come alive. 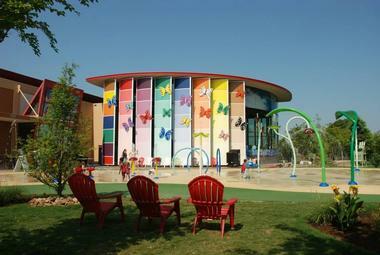 It is a family garden where children can play, splash, dig, and enjoy spending time outdoors. The garden offers many programs for adults and for children and hosts special events like The Family Egg Hunt and the Daffodil Dash Race. More weekend destinations: Things to Do in Chattanooga, Tennessee. The Memphis Brooks Museum of Art is the largest and oldest art museum in the state of Tennessee. Built in 1916, the museum was designed in the Beaux-Arts style by architect James Gamble Rogers. The funds were donated by Bessie Vance Brooks in memory of her husband, Samuel Hamilton Brooks. A cylindrical extension to the original building was added in 1955. The museum consists of 29 galleries, a research library, an auditorium, and classrooms. The museum’s permanent collection includes art from the Italian Renaissance, Baroque, Impressionist, and 20th Century periods. Some of the artists whose works hang in the museum include Gainsborough, Hassam, Homer, Pissaro, and Renoir. More destinations: Things to Do in Pigeon Forge, Tennessee. 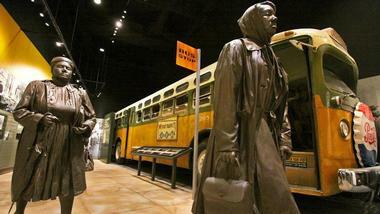 The National Civil Rights Museum in Memphis was established in 1991 with the goal of sharing lessons learned from the American Civil Rights Movement as well as investigating the ways in which this period of the nation’s history have influenced and shaped the freedom and equality of all men today. The museum building is part of the history too – it is located in the former Lorraine Motel in which Dr. Martin Luther King was killed in 1968. The museum fulfills its role through a number of galleries with historic collections, interactive multimedia exhibits, special speakers, and events. During the latest renovation in 2014, the museum received 40 new oral histories, films, and interactive media. 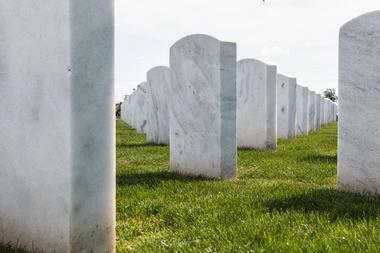 Originally called Mississippi River National Cemetery, Memphis National Cemetery was established during the American Civil War after the Union Army took control of Memphis. The cemetery was founded in order to inter war veterans who had died in various hospitals along the Mississippi delta. In 1865, Union soldiers liberated from Confederate POW camps died when their steamboat Sultana exploded, and they were also buried in Memphis. In 1867, about 250 casualties of the Battle of Fort Pillow from both sides were moved from various battlefield cemeteries to this newly established veteran cemetery. The cemetery spreads over 44.2 acres and had 42,184 interments in 2007. The beautifully landscaped and maintained cemetery has several notable monuments such as the Illinois Monument, a granite and bronze sarcophagus created by sculptor Leon Hermant. The Memphis Rock ‘n’ Soul Museum was established in 2000 by the Smithsonian Institution to tell the story about the birth of rock and soul in Memphis. Its exhibits portray the lives of musical pioneers who were able to overcome all barriers – racial, social, or economic – for the love of music. Their music went on to change the world. 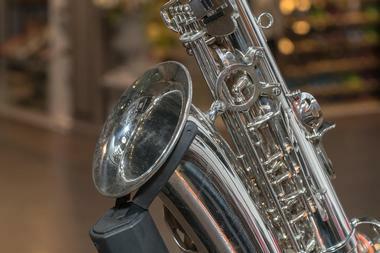 The museum is located at the FedExForum complex, and its galleries offer a complete Memphis music experience. The museum’s audio tour guide contains 300 minutes of information that includes more than 100 songs. 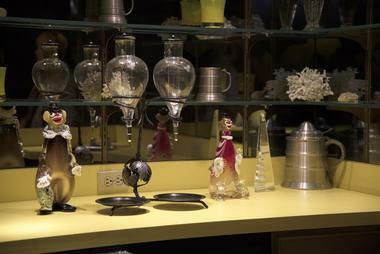 Visitors can visit the museum’s seven galleries at their own pace, enjoying three audiovisual features, 40 costumes, 30 instruments, and many other treasures. The Pink Palace Museum is a history and science museum and part of the Pink Palace Family of Museums. Built in 1923, the mansion in which the museum is housed was the former residence of Clarence Saunders, the founder of Piggly Wiggly. 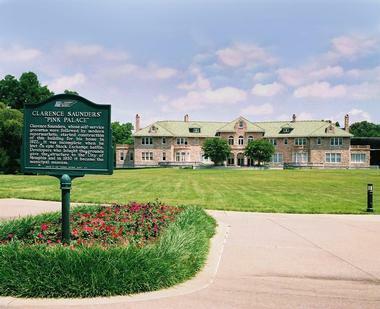 After financial losses on Wall Street, he donated the mansion to the city of Memphis. Originally called the Memphis Museum of Natural History and Industrial Arts, the museum featured dolls, stuffed birds and animals, and artifacts related to Memphis history. Today, the collection includes pre-Columbian artifacts, dinosaurs, fossils, Native American pottery, and exhibits of Memphis history. The Children’s Museum of Memphis is a hands-on children’s museum dedicated to helping children learn through enjoyable experiences with its interactive and educational exhibits and programs. Established in 1990, the museum is housed in the former National Guard Armory built between 1941 and 1942. It features more than 20 hands-on exhibits. If you are looking for fun things to do in Memphis with kids, this is a great place to visit. Some of the museum’s exhibits include Campground/Rockwall, Creative Construction, Great American Airways, Milk Bottle Barn, and many others. The museum offers a variety of programs such as Afternoon Art, Center Stage Play Time, My First Book Club, and more. The museum also hosts many events throughout the year. 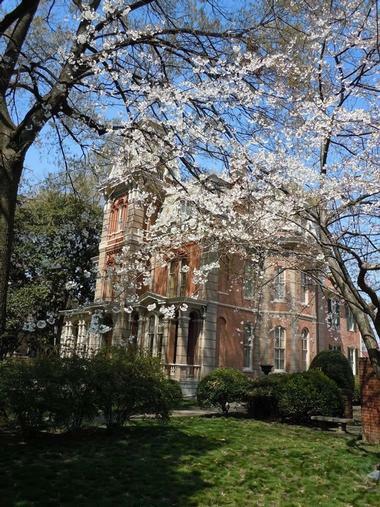 The Woodruff-Fontaine House is a historic museum house located on Adams Avenue in Memphis. Built in 1871, the house belonged to Amos Woodruff, a carriage maker. Shortly after completion, the house hosted the wedding of Woodruff’s daughter, and the house has been a popular venue for weddings since then. The second owner was Noland Fontaine; after he died, the house was owned by several organizations and then was vacant. In 1961, the house was saved by the Association for Preservation of Tennessee Antiquities. Today, tours of the fully restored French-Victorian house are given and it hosts a variety of exhibits and events. 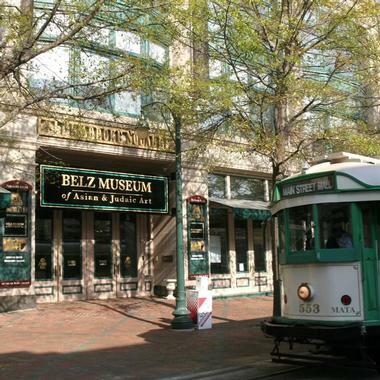 The Belz Museum of Asian and Judaic Art is the result of the love of Asian art and the generosity of chairman and CEO of Belz Enterprises Mr. Jack Belz and his wife Marilyn. They started collecting Asian art in 1968 and made their collection available to the public in 1998 in the museum located in the Pembroke Square Building in downtown Memphis. The museum’s collection of Chinese art is the largest in the southern US and has more than 900 outstanding objects, many of which are from China’s Qing Dynasty, including carved jade, ivory, paintings, sculptures, textiles, and much more. The collection of Judaica contains works of some of Israel’s best contemporary artists such as Daniel Kafri and Ofra Friedland, as well as works by Israeli artists Marc Chagall, Samual Bak, and Mane Katz. Shelby Farms Park, one of the biggest urban parks in the country, is a peaceful, green oasis in the heart of Memphis’ Shelby County. It is spread over 4,500 acres, with dozens of ponds and lakes that are great for fishing and boating. Green rolling hills, flowering meadows, hiking and biking trails, woods, and gardens surround the various lakes. Shelby Farms Park is one of the best things to do in Memphis, Tennessee with kids. Woodland Discovery playground invites kids to explore nature around them, have fun and adventures and make healthy outdoor activities an intrinsic part of their lives. 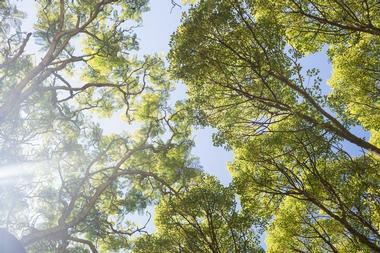 The Park’s Conservancy organizes a number of community programs, events, and activities for kids, adults, seniors and community groups. More places to visit: Best Things to Do in Nashville. 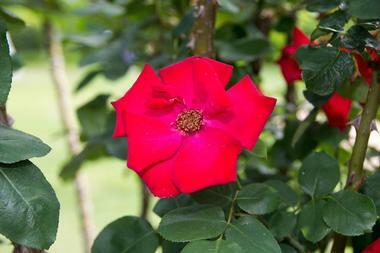 In the Dixon Gallery and Gardens humans and nature compete in creating breathtaking beauty. Established in 1976, this art museum boasts one of the best collections of impressionist art in the country with works by Monet, Degas, Pissarro, and others. The collection is housed in the home of the late Hugo and Margaret Dixon, who gifted the house and spectacular gardens to the city of Memphis. This small museum with its extremely rich collection of art often sends parts of the collection on the road as visiting exhibits. After enjoying the art, stroll through the manicured sculpture gardens with a number of Greco-Roman sculptures. 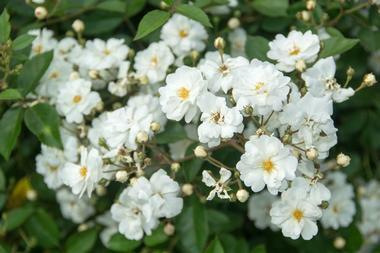 The meticulously landscaped English Garden is surrounded by smaller, more intimate but equally formal spaces. AutoZone Park is a baseball stadium located on Union Avenue in downtown Memphis. The stadium is home to the Memphis Redbirds, a Minor League Baseball team of the Pacific Coast League; it also hosts some University of Memphis baseball games. Built between 1998 and 2000, it replaced the Tim McCarver Stadium. The stadium sits on 11 acres and has a seating capacity of 10,000 spectators. There are several special amenities at the stadium such as the Family Leisure Picnic Pavilion that seats up to 500 people; a grassy lawn area for additional seating; 48 suites with a total of 700 seats; and several bars and restaurants. The Levitt Shell is an open-air amphitheater formerly known as Overton Park Shell and Shell Theater. Built in 1936 by the Works Progress Administration and the City of Memphis, it is one of only a few band shells built by the WPA that is still in use. Modeled after similar band shells in New York, Chicago, and St. Louis, it was used for musicals, light operas, and orchestra performances during the 1930s and 1940s. Elvis Presley performed here in 1954 and this is considered the first rock and roll show in history. The shell was renamed after a major renovation by the Levitt Foundation in 2007. FedExForum is a multi-purpose indoor arena located on Beale Street in downtown Memphis. It is the home of the Memphis Grizzlies of the NBA and it also hosts concerts, family shows, ice hockey games, and other events. Covering an area of 14 acres, the arena was built between 2002 and 2004. It has a seating capacity of 18,119 for basketball games; there are also club boxes, party suites, club suites, and courtside suites. The interior is decorated with murals and paintings of famous Memphis musicians. The arena has also hosted professional wrestling events, college basketball games, and the Professional Bull Riders’ Built Ford Tough Series Tour. 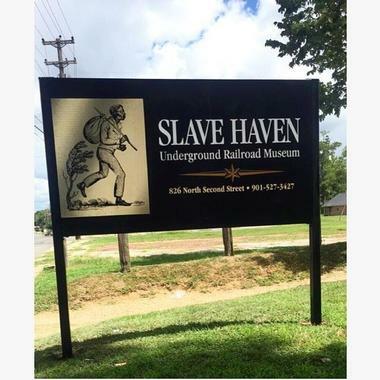 Located on North Second Street in Memphis, the Slave Haven Underground Railroad Museum is a historic house museum. Known as the Burkle Estate, the house was built in 1849 by Jacob Burkle, a German immigrant who was a stockyard owner and a strong supporter of the anti-slavery movement. At one time, Memphis was the largest slave-trading city in Tennessee. Starting around 1855, this modest antebellum home, located near the banks of the Mississippi River, served as a safe haven for slaves who could board boats heading towards the Northern states. The house features artifacts, trap doors, and hidden passages. Established in 1852, Historic Elmwood Cemetery is the oldest active cemetery in the city and one of the first examples of a garden cemetery in the South. It has a park-like setting with monuments, old trees, and scenic vistas. Originally consisting of 40 acres, it was expanded to 80 acres after the American Civil War. 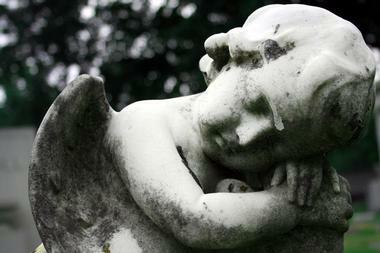 Some of the mausoleums, monuments, and statues are decorated with representations of angels, flowers, and other plants, a reminder of the Victorian era’s view of death. Many veterans are buried here from the American Revolutionary War up to the Vietnam War. 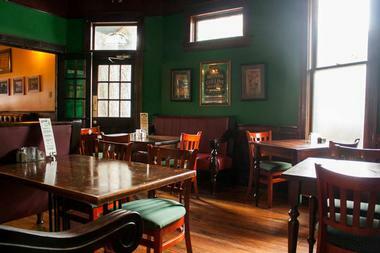 Celtic Crossing is a quintessential traditional Irish pub in the heart of midtown Memphis. It is cozy, friendly, and always welcoming. One of favorite watering holes in Cooper-Young neighborhood since 2005, Celtic Crossing serves great beer, and they offer a substantial whiskey selection and traditional foods that warm all Irish hearts. You can always find traditional hand-pulled corned beef with melted Swiss, sauerkraut, and special Mary Rose sauce. Ham lovers will enjoy a thick cut of delicious ham with house-made pimento cheese. There are also, of course, fish and chips and shepherd’s pie, and much more. 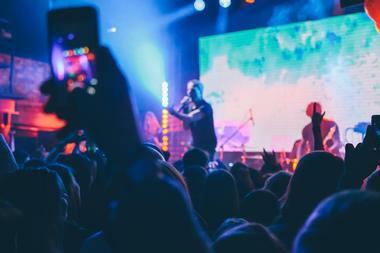 Large TV screens are there for the big game nights, and the best time to come are the nights when the live music makes everyone dance to the early hours of the morning. The Withers Collection Museum & Gallery is a collection of photography that documents the history of African Americans. 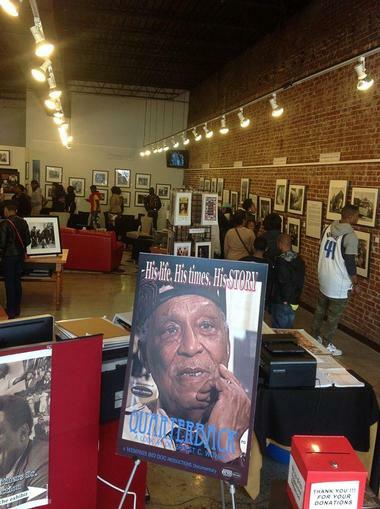 The collection covers over 60 years of 20th century history through the photographs of Earnest Withers, a native of Memphis and a renowned photojournalist. The museum displays just some of the more than one million photographs taken by Withers. In addition to exhibiting and interpreting the images, the museum also hosts public events such as workshops, lectures, and seminars. Along with the photographs that depict events during the Civil Rights Movement, there are also photographs related to African American music history and sports history. The Stax Museum of American Soul Music is located in the former location of Stax Records on East McLemore Avenue in Memphis. The original Stax Records building was torn down in 1989 and the current museum building was constructed between 2001 and 2003 as a part of a revitalization plan. Dedicated to soul music, the museum is a replica of the Stax recording studio, which was the former Capitol Theatre. With 17,000 square feet of exhibit space, the museum features interactive exhibits, original instruments, stage costumes, films, videos, and other memorabilia. The museum offers education outreach programs to at-risk youths. The Memphis Zoo is a zoological park owned by the city of Memphis. Established in 1906, the zoo has had its home in Overton Park in Memphis for over 100 years. 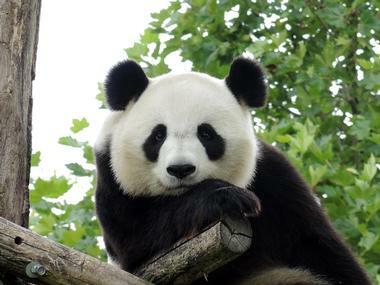 Set on 76 acres, it is a large zoo featuring over 3,500 animals that represent more than 500 different species. These animals are separated into three zones with 19 exhibits. The East Zone contains exhibits such as African Veldt, Crocodile Cove, and Teton Trek; the Central Zone features Animals of the Night, Commercial Appeal Cat Country, and Primate Canyon. The West Zone consists of the Aquarium, Once upon a Farm, and Tropical Bird House. The zoo has many education outreach programs. The Blues Hall of Fame is a music museum located on South Main Street in Memphis. Established in 1980 by the Blues Foundation, at first the museum was just a list of people who have contributed to blues music. The facility to house the museum opened in 2015. The museum is dedicated to people who have documented, recorded, or performed blues music. Induction ceremonies have been held every year since 1980. 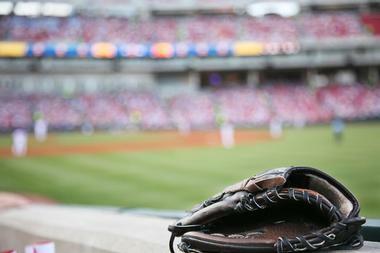 Some of the most well-known inductees include B.B. King, Muddy Waters, Bessie Smith, Ray Charles, Chuck Berry, Billy Holiday, Etta James, Fats Domino, Bo Didley, Bonnie Raitt, Little Richard, and many others. You may also like: 20 Best Weekend Getaways in Tennessee. Mud Island River Park is a park on Mud Island which is actually a peninsula bordered by the Mississippi River and the Wolf River Harbor. Opened in 1982, it can be reached by a monorail called the Memphis Suspension Railway, via a footbridge, or by ferry or car. The park features biking trails, rafts, and pedal boats. One of the highlights of the park is the Riverwalk, a scale model of the Lower Mississippi River with twenty cities and small towns marked along the model river as well as markers containing historic facts. There is also a history museum and an outdoor amphitheater that seats 5,000 people for summer concerts.